In late January, the Texas Supreme Court reversed an important state appeals court ruling that favored insurers. The case centered around the Deepwater Horizon drilling rig incident—the largest marine oil spill in U.S. history—and the legal disputes that lingered for years after concerning liabilities and insurance coverage for losses. Anadarko owned 25 percent of the well that was drilled by Deepwater Horizon. This specific case involved the legal fees and related expenses Anadarko E&P Company, L.P. incurred defending against liability. Specifically, Anadarko argues that its insurance policy covers all of its defense expenses, while its insurance company—Houston Casualty—claimed that the policy caps excess coverage, including coverage for defense costs, at 25 percent because that was the company’s ownership in the venture that operated Deepwater Horizon (i.e. due to the “joint venture provision” in the contract). While the trial court agreed with Anadarko, and the court of appeals with the insurance company, the Texas Supreme Court agreed with Anadarko, that the contract provision does not limit excess coverage for defense expenses. 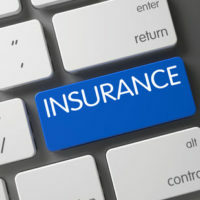 In interpreting the provision concerning the insurance company’s duty to indemnify Anadarko for “ultimate net loss,” the Court points out that the contract specifically defines what it covers including arbitration proceedings, all defenses expenses, and the service of suit. Simply because Anadarko was operating out of a joint venture does not impose a coverage limit because the contract explicitly indicates that if Anadarko becomes legally liable for an amount greater than their proportionate ownership interest in the joint venture, the insurance company will provide coverage for this increase. As a result, Anadarko can recover the $112.5 million from the insurance company left to pay off its legal costs because the joint venture provision does not limit the insurance company’s liability for Anadarko’s defense expenses. One of the key aspects in its findings was the Court having to interpret the word “liability” based on its common, ordinary meaning because the policy did not include a definition that provided a more technical, narrow meaning. Insurance companies have a duty to not only deny frivolous claims, but ensure that payment is limited when contracts provide for these limitations. It is absolutely imperative that they work with skilled attorneys in drafting these contracts, however, such that any exceptions they include do not come back to haunt them. At the law firm of Colvin, Saenz, Rodriguez & Kennamer L.L.P., our Brownsville insurance coverage and defense attorneys have represented many insurance companies concerning incidents here in Texas. Contact us today to find out more about our services.